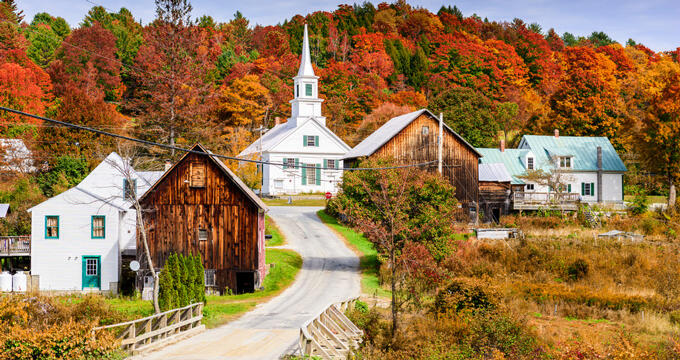 Vermont is a beautiful and unique wedding destination for those couples who want to come together with their family and friends in a memorable way. 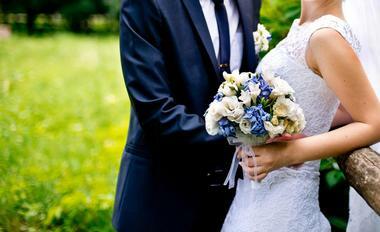 Many of the venues on our list offer wedding packages and on-site planners to help with organizing your wedding. The best thing about a Vermont wedding is being surrounded by beautiful nature - many couples choose to make the most of the views and book an outdoor venue. The 1768 Hubbell Homestead is a wedding venue nestled in the beautiful countryside of the Southern part of Vermont. The venue overlooks the Historic Bennington Battle Monument and the Green Mountains offering stunning views for your wedding day and photographs. The venue is appropriate for weddings from 30-350 guests and offers both outdoor ceremony space and an covered, tented area and a post and beam barn for your reception options. They even offer the option to finish your evening at a cozy bonfire with mountain views. The onsite caterers specialize in local, Vermont-inspired food with many menu options available. 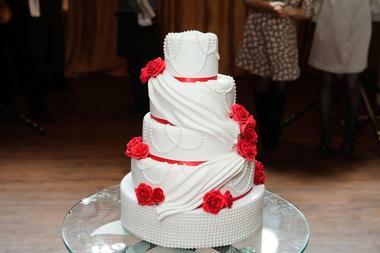 An Affair By the Lake is a wedding venue in Addison. This Victorian-inspired estate is perfect for those couples looking for a traditional, romantic wedding. The home sits on the shores of Lake Champlain and offers beautiful views of both the lake and the surrounding mountains. When you book a wedding here, you have a lot of freedom with how you plan your wedding day. 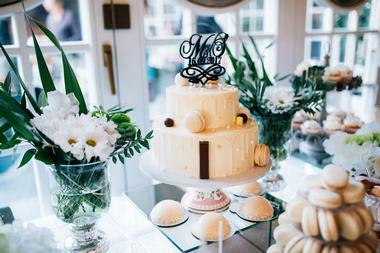 With the help of a personal wedding planning expert, you will be guided through the various package options and amenities available such as an exquisite collection of decorations and antiques, exclusive use of the ceremony gazebo and the house for the entire weekend, a wedding day brunch for the bride and her pals, and other amenities and package options. Basin Harbor Resort & Boat Club is an upscale resort located on Lake Champlain with views of Basin Harbor in the foreground and the Adirondack Mountains in the distance. The resort is located nearby Button Bay State Park and right beside of Basin Harbor Club Golf Course. 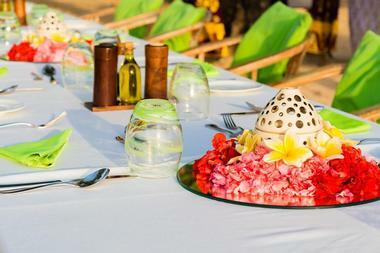 The wedding venue has been used by local couples and those who come here for destination weddings for more than 100 years, so the venue has a lot of experience and knowledge to help make planning your wedding easy. The venue is spread across 700 acres so you’ll have many different venues at your disposal such as the lakeside lawn, with croquet, a private cruise boat, several dining spaces, the Wedding Arch, and reception space with room for dancing. Common Ground Center is a retreat center in Starksboro that offers wedding services. This venue specializes in eco-weddings so it’s perfect for that environmentally conscious couple who also want amazing facilities and beautiful scenery. You’ll be able to have exclusive use of the site so invite your family and friends out for a whole weekend of enjoying the outdoors, the center’s facilities and each other’s company. Up to 200 guests can fit in the event spaces and 150 can stay overnight in a combination of guest rooms, cabins and tents. The venue is available year round and makes for a nice, eco-friendly wedding no matter what season. Crisanver House is a upscale bed and breakfast in Shrewsbury. The property occupies 120 acres near Shrewsbury Peak and features historic, country-inspired features along with a slew of modern amenities such as heated floors, marble bathrooms, wifi and more. 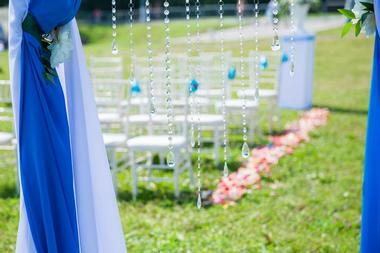 The venue specializes in elegant weddings in a beautiful country setting. Those who are planning a destination wedding will be happy to stay a few nights here as you and your guests will enjoy the onsite accommodations. Most couples choose to have an outdoor ceremony and then head inside to have a memorable reception in the Millennium Barn. 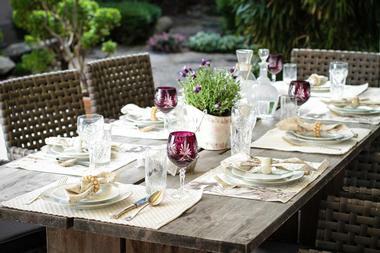 The barn can handle up to 150 guests. If you’re planning a smaller more intimate wedding, the Inn is a better reception option which is designed for up to 35 people. Grand Isle Lake House is a historic banquet hall located in Grand Isle on the shores of Lake Champlain. The property consists of 55 acres along 2500 feet of the lakeshore. You and your guests can enjoy views of the mountains, the sunsets and the venue’s historic features. The property can offer onsite accommodations for up to 32 guests in their 13 comfortable guest suites each with their own unique historic features. Couples with large guest lists typically choose to book a tent on the grounds for their reception whereas the East and South porches are often used for smaller dinners along with dancing in the attached dining room. 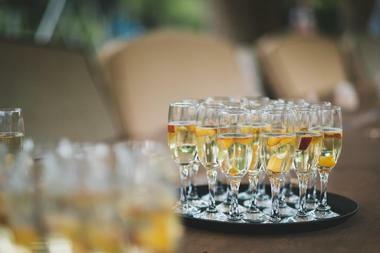 The Honora Winery & Vineyard is a wedding venue in Jacksonville. Surrounded by the vineyards you’ll almost feel as if you are in Napa Valley with the added benefit of plenty of historic East Coast charm. You’ll have the option of holding your ceremony on the property’s stone patio with views of the mountains, on their green lawn, near the vineyard or in any other spot that you choose on the property. You don’t have to worry about rain as the property can simply add on a tent if the weather takes a turn. 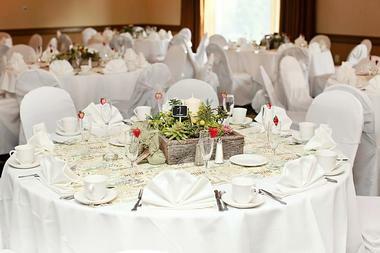 Avigliano at Honora is the most popular space for receptions. It has beautiful features like a stone staircase where you can make your entrance, a stone fireplace, and hardwood beams on the ceiling. 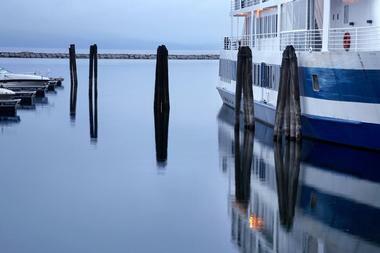 Lake Champlain Cruises offers the only cruise ship and restaurant on Lake Champlain. In addition to a number of daily public cruises they also offer private rentals for events and weddings. 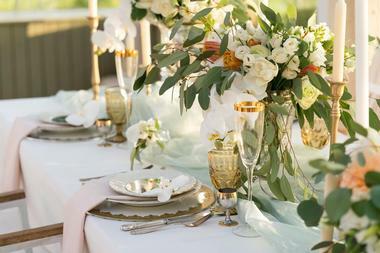 This ship, Spirit of Ethan Allen is yours for the occasion and with the aid of your personal wedding planner. There are several wedding packages available, all of which include a 2.5-4 hour cruise on the lake, a meal, and private deck charter. The ship can accommodate up to 125 guests. You can have both your ceremony and reception on the ship or get married somewhere else and then book a cruise for your reception. Watch the sunset from aboard the boat and then finish off your evening by dancing away the night under the stars. The Lang House on Main Street is a 3-star hotel that occupies a former private residence. The renovated Queen Anne style home is located right along main street in Burlington near the University of Vermont and not far from the airport. 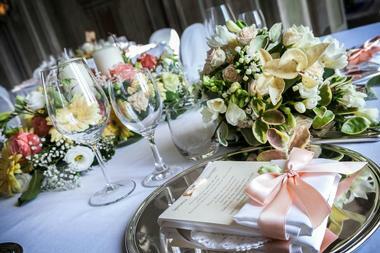 The property is great for those with a small and intimate wedding. You can book your ceremony in a beautiful place in the garden with a guest list of up to 30 people. For those guests and members of the bridal party who plan to stay the night, there are 11 elegant guest rooms individually decorated with antiques and offering modern amenities. The hotel serves a tasty breakfast which everyone is sure to enjoy the next morning. Mountain Meadows Lodge is a lakeside lodge located along the Appalachian Trail in Killington. If you book a wedding at Mountain Meadows Lodge, you’ll have exclusive use of the property for your wedding day. The venue has been used for weddings for more than 30 years so they have plenty of experience in hosting successful events. The lodge is conveniently located near plenty of vendors so it will be easy to book all of the services you need for your ceremony and reception. If you and your wedding guests want to spend the night, the lodge can accommodate up to 120 overnight guests with other inns and hotels nearby for additional people. Mountain Top Inn and Resort is a popular vacation spot located high in the mountains of Central Vermont. The resort occupies 700 acres of private meadows and forest with views of the Green Mountains and the nearby, 749 acre lake. There are a variety of different ceremony spaces you can choose from including several outdoor spaces for your ceremony, as well as a couple of indoor locations. They even have a beach available. In fact, if you want to have a beachside wedding, this venue is one of your only options in Vermont. After your ceremony, you can have your reception in The Barn with views of the meadow, mountains and lake, or at the Lakefront Beach Pavilion which is only available in the warmer months. Reading Farms Estate is a private home that is available for event rentals and hosting weddings. The home occupies a private estate that spans 400 acres in a secluded location a few minutes away from Woodstock. The estate also offers convenient access to both Okemo and Killington ski areas. The home is a brick farmhouse which was constructed near the end of the 18th century and has had some additions over the years. One huge selling point of Reading Farms is that you will get exclusive access to the property with no time or noise restrictions so you can party late into the night if you want to. Red Barn Gardens is an event venue centered around a large red barn in Willston. 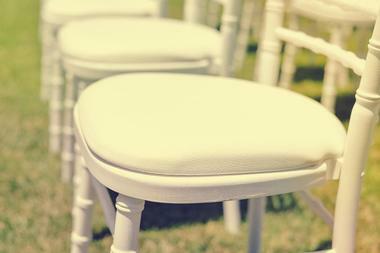 This venue is the perfect location for a country-style wedding with picturesque surroundings and many natural elements. It is located just a few miles off of I-89, so it will be easy for your guests to find you. You are free to choose your own caterer, and when you book a reception at Red Barn Gardens there is no additional charge for having your ceremony there. You can choose from the barn, the greenhouse or a tent somewhere on the grounds when planning your ceremony and reception. Riverside Farm is an elegant wedding venue that is quite popular with couples from all across the country. Each year the venue hosts only a few weddings and often is booked full, so you’ll need to plan ahead if you want to book this one. 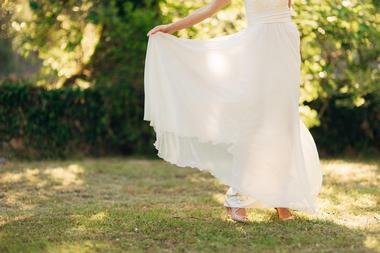 There are several venues spread over the property’s 700+ acres where you can choose to have your ceremony or reception. Spaces include six gorgeously renovated barns, various elements of a working farm and other sites. If you are dreaming of a barn wedding in Vermont, you’ll not find much better option than the variety of choices available at Riverside Farm. Shelburne Vineyard is a vineyard in Shelburne that makes wine from grapes grown right in northern Vermont. The vineyard has a tasting room which features a loft space with views of the Adirondacks and attached patios overlooking the vineyards. The space is perfect for wedding rehearsal rentals for small groups. If you have a larger wedding planned, you can book the Tasting Room as well to accommodate your guest list for an event held during the evening. If you’d also like to get married at the Vineyard, you can book a small, intimate ceremony within the vines, or a larger wedding with beautiful views on their large lawn. Skinner Barn is a wedding and event venue in Waltsfield, Vermont, an area known for its resorts and tourism industry. The Skinner Barn is a rustic, but elegant venue with its centerpiece being a beautiful red barn that stands out against the background of green, rolling farmland. You can have your ceremony in a beautiful meadow with views of the hillsides and distant mountains. Then, your wedding party will move to the side of the Clay Brook where your guests will enjoy cocktails. Finally, you’ll finish your evening with dinner and dancing in the property’s historic post and beam barn. All in all your wedding is sure to be a memorable event if you book the Skinner Barn as your venue. Stowe Mountain Lodge is a 5-star resort hotel located near Spruce Peak. The Alpine-style hotel is popular among skiers and offers exquisite, upscale rooms to overnight guests. 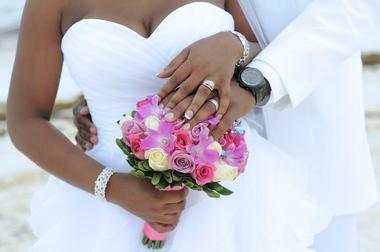 In addition to providing a world-class resort experience, the property is also proud to host unforgettable weddings. Whether you plan to get married at a small ceremony on a mountaintop or party with your extended friends and family at a large wedding, Stowe can help arrange it. There are a variety of spaces available including the large Grand Ballroom, an elegant poolside location, a smaller ballroom and several outdoor terraces so you’re sure to find something suitable for your big day. 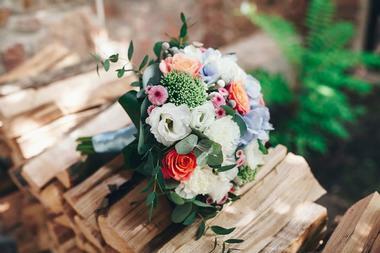 The Barn at Boyden Farm is a rustic but chic wedding venue in Cambridge. The venue occupies 54 secluded acres of farmland and has been hosting special events and weddings for more than a decade. The farm is a family farm that is still operational today, producing farm fresh beef, maple syrup, and wine, but it is also an immaculate event venue. There are numerous amenities available to a couple who chooses to have their wedding here and the on staff wedding planner has years of experience planning weddings so your event is sure to be comfortable and well planned. The Barns at Lang Farm is a beautiful property out in the country near Burlington. The venue is a rustic but elegant wedding venue, perfect for the couple who want to embrace the beauty of the Vermont countryside. The property’s crowning glory is it’s beautifully restored post and beam barn which is surrounded by flower gardens and sits near an 18-hole golf course. The barn can seat up to 300 guests and you can add on a tent for additional seating for larger weddings. Enjoy the views of Mt. Mansfield as you exchange vows outdoors surrounded by gardens and then move indoors to your memorable reception in the barn. The Mansfield Barn is a beautifully renovated historic barn located in the farmlands of Jericho. The farm it is on was originally used by the early settlers of the area and the current barn was built right around the turn of the century and resorted in 2015-2016. Today the barn and surrounding grounds are a beautiful wedding venue where couples can get married in the rustic surroundings with views of Mount Mansfield in the distance and natural beauty at every turn. Wedding rentals include your choice of any ceremony location on the property, reception space for up to 200 guests, a dedicated staff member to help with your event, catering space, and exclusive use of the property for the day. 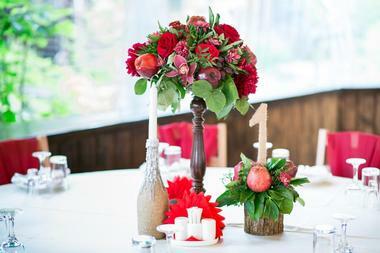 The Old Lantern Inn and Barn is a wedding venue in Charlotte. The barn was originally built in the 1800s and has been beautifully renovated and restored to provide a comfortable, beautiful and charming wedding venue. 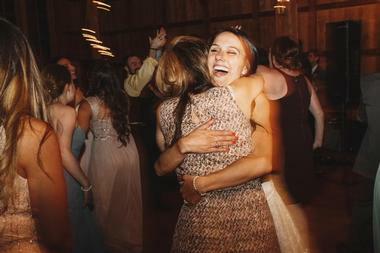 The barn has the distinction of having the largest maple dance floor in the state so you’ll have plenty of room to dance the night away with the love of your life and your guests. The barn shares the location with an 8-room Inn that offers lake views and a nice, secluded place for a romantic honeymoon night. 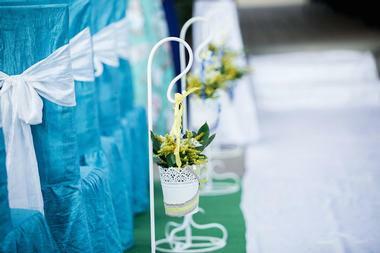 This is a convenient, full service event venue that provides everything you need for your wedding. The Vermont Wedding Barn at Champlain Valley Alpacas is a rustic but elegant event venue on a 80-acre working farm. The farm has been owned by a local family for several generations and raises cattle, alpacas and chickens. They offer their beautiful barn as an event venue which is popular with area couples. 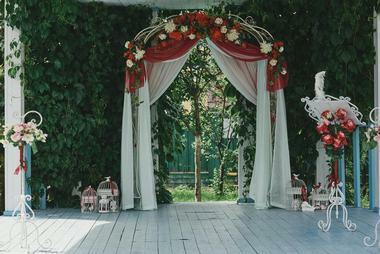 The barn itself is often used as reception space. Most couples choose to get married at an outdoor ceremony surrounded by the farms beautiful nature and views and then move inside for their after-ceremony party. For those couples who’d like to stay in the area for their honeymoon night, the property also has a rustic and cozy cottage beside the swimming pool which is available for nightly rent.